At the beginning of the month, and indeed the year, I resolved to get on with my novel. It’s my second book and it’s two-thirds written. 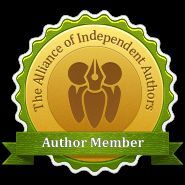 I planned my time and input, set my word count targets and was raring to go. Then as you’ll see below, to paraphrase John Lennon, while I was making my plans – life happened – and my newly gained momentum was stopped in its tracks. I did however manage to continue to take part in the ‘A River of Stones’ 2012 project and have posted a small piece of mindful and observational writing each day this month. All have been posted here on the blog. I also wrote my regular piece for the writers’ magazine ‘Words with Jam’. My reading this month has included fiction and non-fiction. And, before I tell you about it, I want to share a cool quote from Annie Proulx with you that sums up how important I believe reading to be for all of us who call ourselves writers. ‘Writing comes from reading, and reading is the finest teacher of how to write. I read omnivorously – technical manuals, history, all sorts of things. it’s a relief to get away from your own stuff.’ I think that says it all. I began with Sara Maitland‘s ‘Book of Silence‘. Maitland is a long time favourite fiction author of mine. But this was non-fiction – part account of her retreat into silence and part reflection on her own writing and creative processes. It was interesting and, in places, thought-provoking but it was a little slow and rather repetitive here and there. I guess a bit of a tighter edit would have resolved these problems in an otherwise fascinating book. My fiction reading is a freebie – a pre-publication proof copy from the publisher of ‘Brighton Belle’ – the latest novel from Sara Sheridan. I’m almost finished it and it’s a thoroughly enjoyable crime thriller set in the 1950s. I’ll be doing a full review of it soon. And in other news – so, there was I, all organised – ready to go back to work after the festive break – writing plans in place for the evenings and weekends, house move imminent… Then wham! The house move went bosoms skyward, the car had a catastrophic breakdown, and my dear father-in-law passed away very suddenly. Yes, a bit of a stressful time – the muse fled. However, things are resolved – the house move is back on track, the car is fixed – £700 later – all down to dirty fuel apparently. And although it was tough to say goodbye to ‘Grandpa’, his passing did bring the whole family together and gave us some unexpected time with our lovely, wee, seven-week old granddaughter. A true January scenario – with our family looking to the past and to the future. Eager, avid and wide-awake readers – or maybe that should just be the sad – will be saying ‘Hang on, weren’t you going to be a-ranting and a-raving on the first Tuesday of the month and then blogging about island life on the second Tuesday?’ And you’d be right. However, having used up the first instance of a Tuesday by setting out my new year blog plans, I missed the opportunity to R& R. So, in the true spirit of the January sale, I’m doing a two-for-the-price-of-one special. Right, I hope that’s that all cleared up. First rant of 2012 – bottle tops. 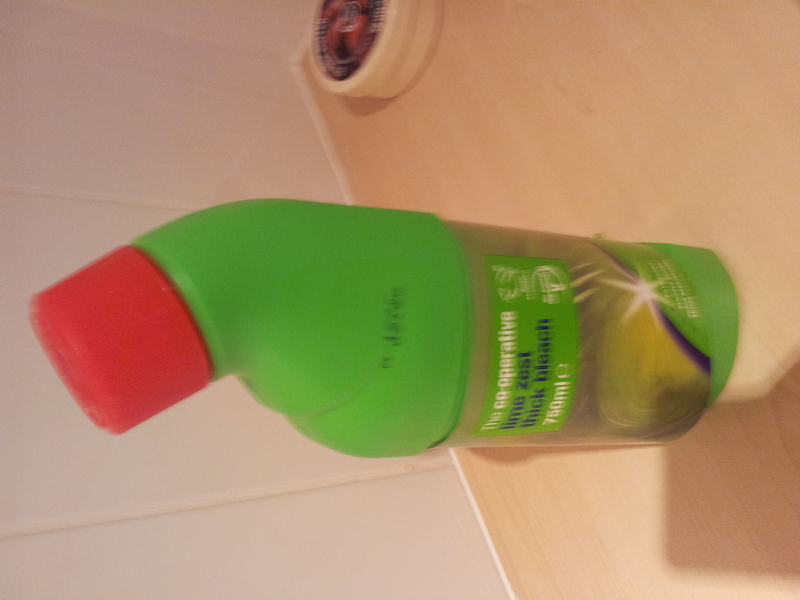 I have just struggled for many minutes to get the top off a bottle of bleach. Now I know it has to be childproof but so do pill bottles and I can remove the tops from them no bother. Just push down and turn. But this ridiculous bottle requires you to squeeze in the sides of the top and turn it at the same time. My hands are small but perfectly formed and, yes, there’s a bit of arthritis in the old fingers, so this combined movement proved impossible and was very painful. The design of this top is very poor. And what about cooking oil bottle tops? Not a problem if the bottle is glass because then you just unscrew but the plastic variety – argh! With their ridiculous little, thin plastic strips that cut into your fingers as you tear and pull an unfeasibly small tag to release top from bottle, they are bad-word inducing. Fortunately Mr Write Enough has big, strong hands and he opened the bleach bottle for me. But what if he hadn’t been available? The outcome could have been unthinkable – an unbleached sink – or – even – asking a strong child to do it. 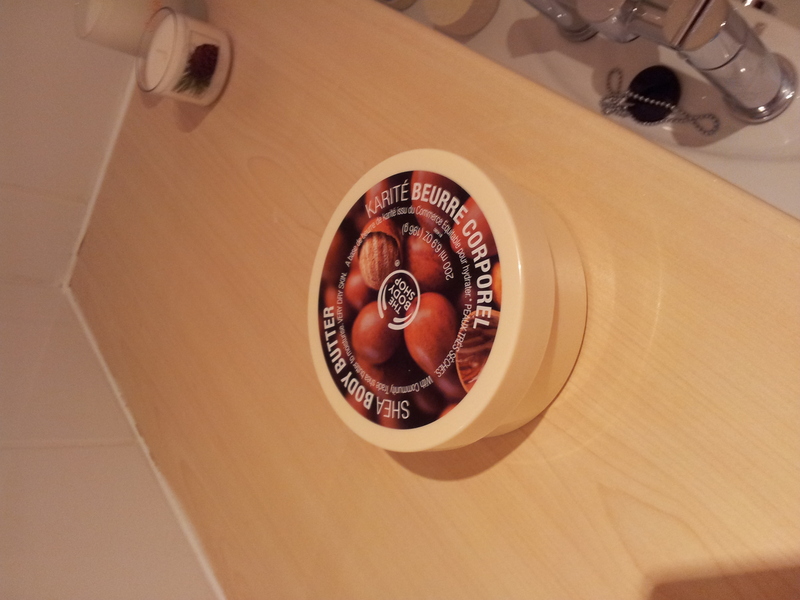 Rave – The Body Shop’s Shea Body Butter moisturiser. This was a Christmas present from my son and his lovely girlfriend. I’ve been using it on my hands which are in a bit of a bad way with eczema – very dry and cracked. My prescription ointment helps a bit but this Body Shop stuff is the biz. What a difference it’s making. The cracked, red, itchy skin is much better since I’ve been using this stuff. And it smells gorgeous. I give it a round of applause with my newly soft hands. 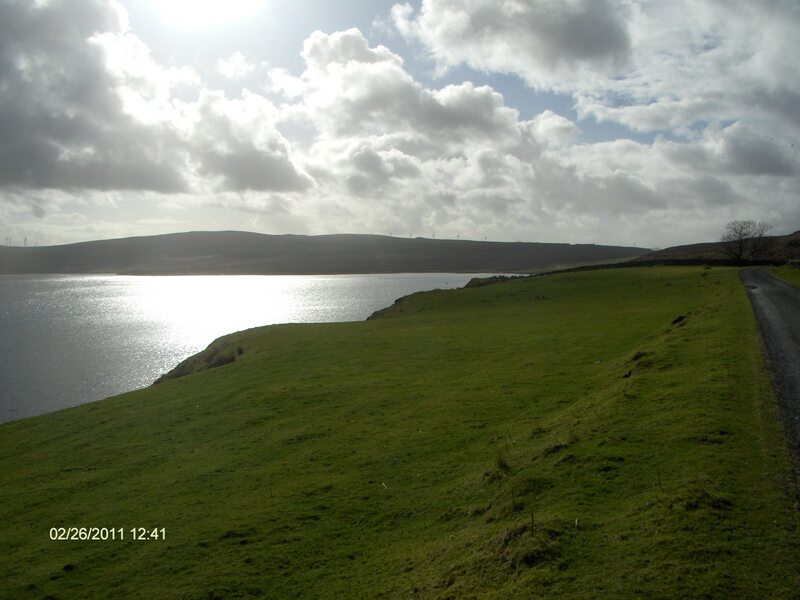 Island Life – Weather is a major feature of life here on the island. We have a maritime climate with, often contrasting, local variations in the minute-to-minute weather. Wind is the predominant feature and over the winter, when it’s incredibly noisy and intrusive, even when you’re indoors, it could drive a person to insanity. It will drown out the television, cut off mobile phone and radio signals, push the car onto the wrong side of the road, smash sturdy wooden garden furniture and mangle greenhouses and polytunnels. But you do learn to live with it. You learn to tie down caravans, compost bins, rabbit hutches and dog kennels. You put away all garden furniture and ornaments in September until May. It can even be exhilirating to be out in the Atlantic squall – as long as you have the appropriate clothing and, ideally, a hand to hold – a wind-blown walk will whip your troubles away. Being so far north, light is very precious at this time of year. The island is beautiful and, in winter, the snow on the mountains, the ‘white-horses on the waves and stark, silhouetted views can be magnificent. If you can see them. But this winter everything has been veiled. It’s the greyness, I find hard to bear. The constant low level of light and the often accompanying drizzle, showers or monsoon are so depressing. The grey sky, grey rain, grey light – they take you beyond feeling blue. The mountains disappear, the sea disappears, the beauty of the island is drained away. A sort of claustrophobic island fever takes you over. The mainland with its big cities, its street lights, its cinemas, theatres and shops beckons beguilingly. You need a fix. You may well succumb and drive the two hundred miles to Inverness. However all it takes is one day – one day of blue sky and full spectrum light – and you know – you know it’s not forever. Spring isn’t far away and even at its darkest worst, this island is home.